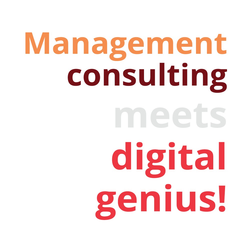 Red Dot Digital is a full service global Management Consulting and Digital Media firm with an extensive track record of boosting our client's sales and business objectives using proven, data-driven digital and social media strategies. B). Agents that may not wish to actively sell for us but have contacts that need our services (the likelihood is that you already do, so this could potentially be a very quick and lucrative sale for you). We will happily pay referral commissions and close the business on your behalf. Already connected in an industry or more.